1. Size of middle class in the region is rapidly expanding. Asian Development Bank expects this group to grow from 24% of the total population in 2010 to 65% by 2030. Additionally, demographic trends such as population aging and urbanisation, is expected to fuel demand for better quality healthcare, and contribute to the expansion of Southeast Asia’s medical device market. 2. Penetration of medical devices into ASEAN is still relatively low, thus, there is much room for growth and market expansion. 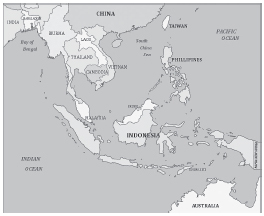 The heterogeneity of the ASEAN market allows medical device companies to adopt different market strategies and provides ample room for device segmentation. 3. Another important consideration for medical device companies entering the ASEAN market is the lack of domestic competition in the region. Overall, ASEAN is a net importer of medical devices. Vietnam for example, currently imports 90% of all the medical devices used in the country. Singapore has the most advanced economy in the region and has an established public healthcare system. Along with its strong intellectual property protection, existing research infrastructure and educated workforce, Singapore makes a strong choice for foreign device companies looking to establish a foothold in the region. In attracting foreign medical device manufacturers, the government has launched a series of incentive schemes, including tax-relief and training grants. From 2000 to 2015, the value-add of Singapore's medtech manufacturing grew from S$800 million, or 0.6 per cent of the country's gross domestic product, to S$3.5 billion. As part of the Research, Innovation and Enterprise (RIE) 2015 plan, the government established Sector Specific Accelerators (SSA) to identify, invest and grow start-ups in strategic but nascent sectors, such as medical and clean technology. A total of S$70 million has been committed under the SSA Programme to encourage the formation and growth of start-ups in medical technology. A middle-income country with a per capita healthcare spending of US$457. Its medical device market is valued at more than US$1.9 billion. Domestic healthcare spending has more than doubled in value since 2005. Malaysia has a rapidly growing healthcare sector and aims to move up the value chain in medical device manufacturing. The country is also a major producer of rubber-based medical devices, and produces a significant portion of the world’s surgical gloves, catheters, amongst others. Medical device market continues to grow rapidly. The country’s per capita healthcare spending is US$360, up from $113 in 2004. Growth of the healthcare sector is forecasted to be 10%, as opposed to GDP growth of less than 2%. The medical device sector is currently worth more than US$1.1 billion. Thailand’s local medical device manufacturers are focused on the production of low-tech basic devices like syringes, test kits and surgical gloves. The Thai government has made some efforts to attract foreign manufacturers by promising corporate tax exemptions for a number of years. Health tourism is a major industry, with Bangkok serving about 30% of health tourists coming to Asia.